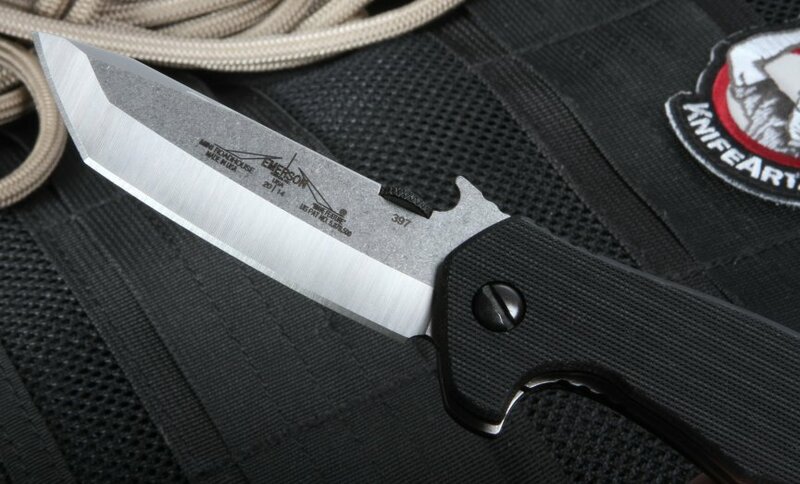 Ernest Emerson is a pioneer and leader in tactical knives - both custom and production. This model is called The Mini Roadhouse with wave and stone wash blade finish. The 154CM stainless blade has the patented wave feature. 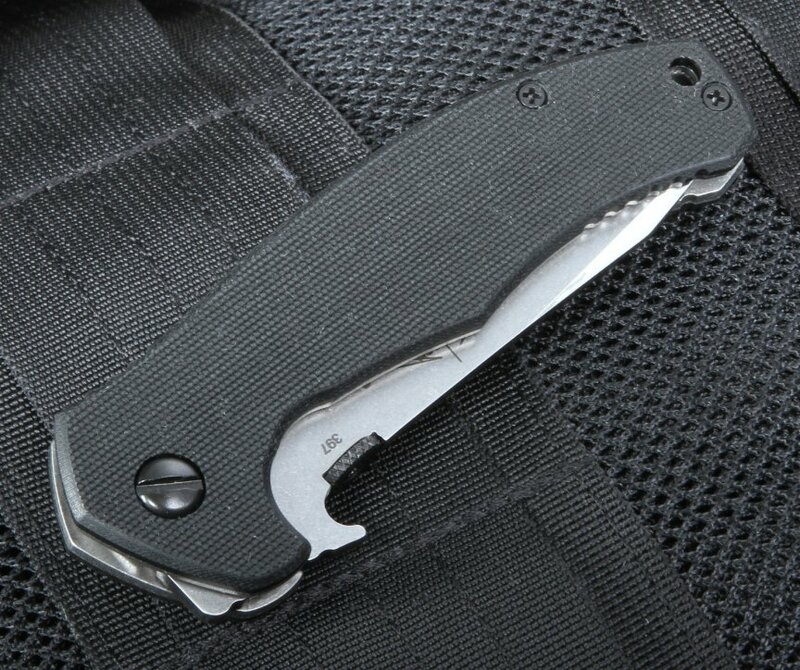 Pocket clip is mounted for blade tip up carrying. Filed thumb rest on the liners and blade spine for a secure grip. 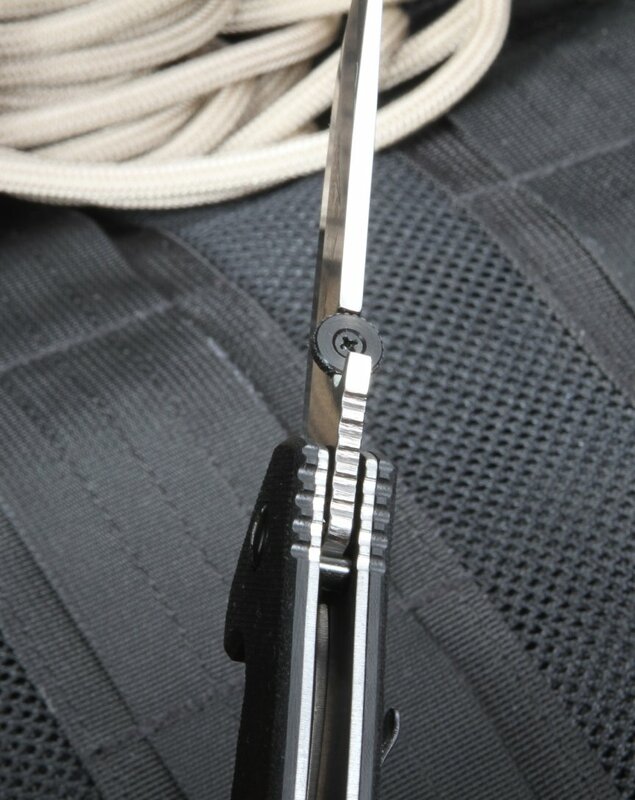 Thumb disc mounted on the blade spine for easy right and left-hand opening. 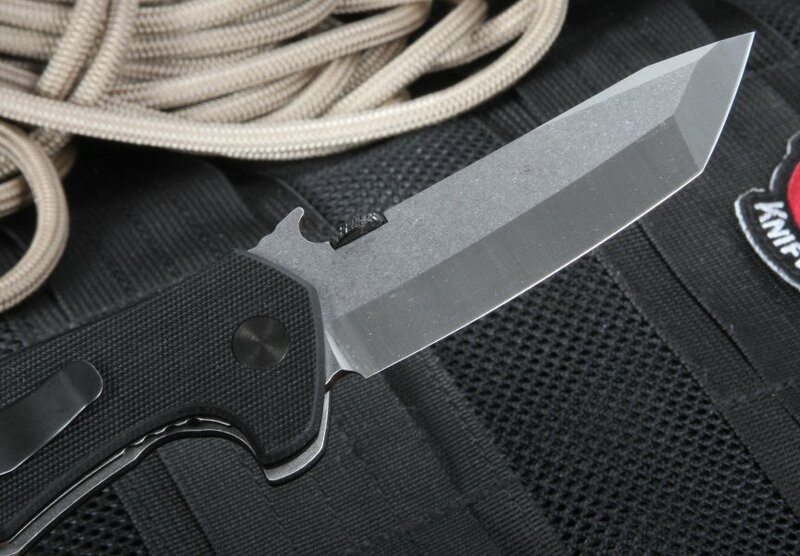 The Mini Roadhouse has a modified tanto blade with a swedge on the tip. This Emerson Prestige Line knife features striking, coarse, black G-10 handles holding a dramatic stone-washed blade that is precisely ground on both sides, front and back, giving you a razor sharp edge. Lanyard hole in the handle. Solid liner lock design. KnifeArt.com is proud to be an authorized Emerson Prestige Line seller. 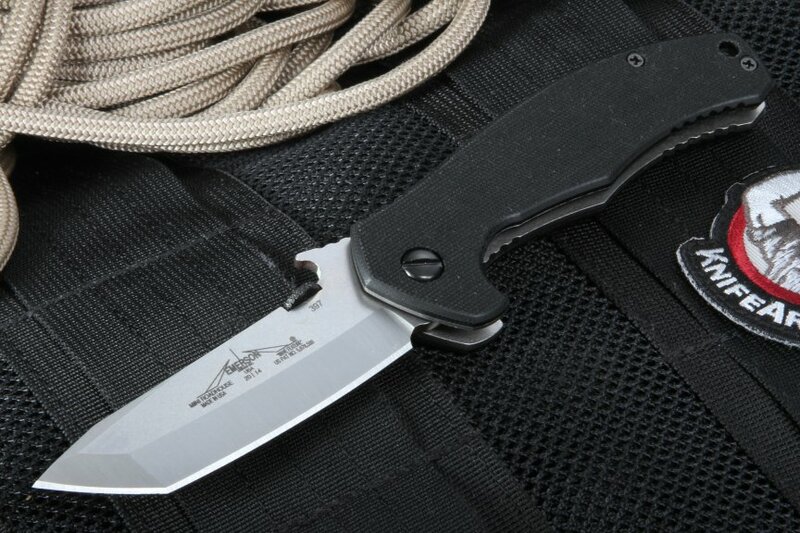 With its modified tanto style blade that has a swedge atop it, the Emerson Mini Roadhouse SF Tactical Folding Knife available at KnifeArt is an impressive member of the Emerson Prestige Line of knives. The Mini Roadhouse has a stone wash finish and a patented wave that makes its 154 CM stainless steel 3.4-inch blade something special. You'll know it as soon as you hold the Emerson Mini Roadhouse SF in your hands. 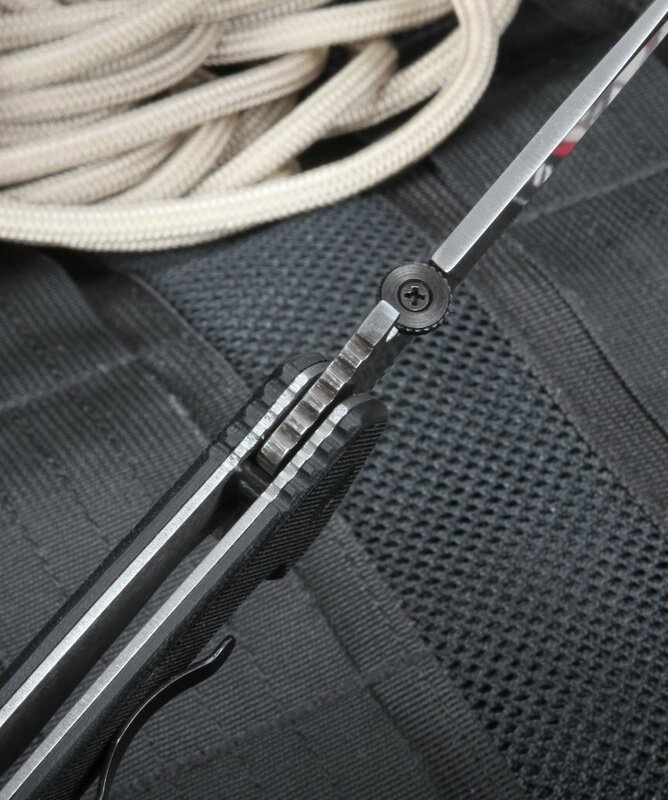 Its black G-10 handles are coarse and textured, and a thumb disc has been mounted on the blade spine, so whether you are a lefty or a righty, this knife opens equally easily. The handle also contains a lanyard hole. Order the knife from KnifeArt and it'll be processed with no shipping charge the same day that your order is received. Let me start off by saying the knife itself is excellent. 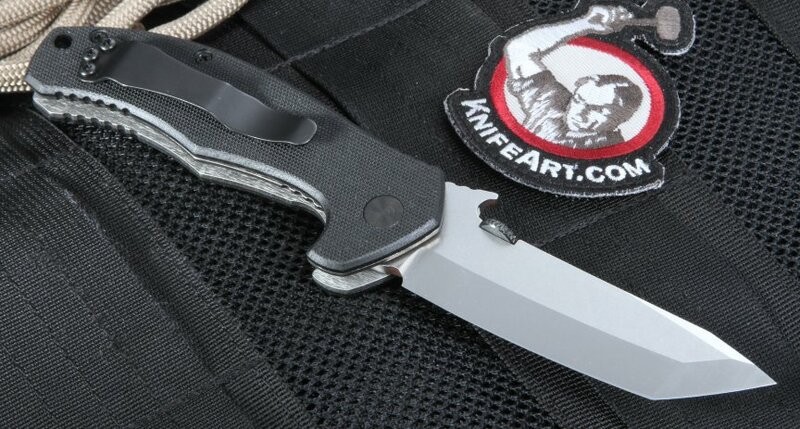 It was just what I was looking for as a hard use tactical knife with fast one handed deployment via the wave feature. We all know you can buy this knife anywhere for the same price but what you get with Knifeart is excellent packaging and fast shipping. It was like they hand packed a much more expensive knife, super fast shipping I ordered late on Tuesday afternoon and had it in my hands Thursday afternoon 2 days later. This is why I will keep coming back to them for my knife purchases. To top it all off they sent me one of those cool Mona Lisa Knifeart stickers for free. Keep up the great work guys!